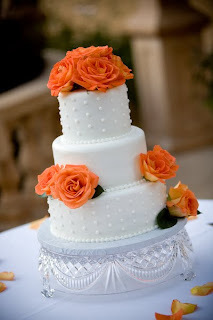 Beautiful and elegant wedding cakes pictures ideas to suit a fall wedding with white cake tiers adorned with fresh orange roses. 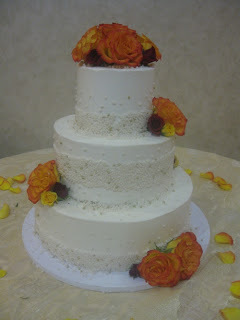 The first two fall wedding cakes featuring orange roses are from Decadence. 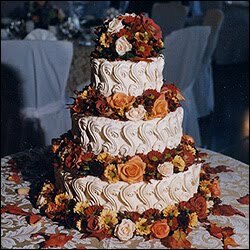 Round four tier white wedding cake with fresh roses in between the tiers in various shades or orange and dark reds emulating the beautiful shades of Autumn. 5 tier round wedding cake with diamond texture and lovely triangle texture with small orange roses cascading down the five cake tiers. 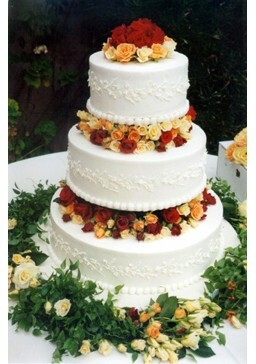 Stunning four tier round textured white wedding cake with a cluster of cascading fresh fall colored flowers. Three tier round white wedding cake with bright orange roses and silver lace separating the tiers. 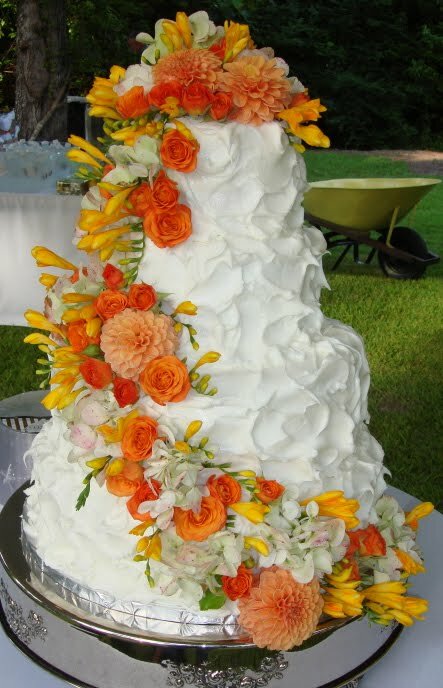 Three tier round wedding cake in white with edible pearls texture and orange roses. Three tier round wedding cake with fresh roses in burgundy, orange and yellow - perfect for an Autumn wedding. 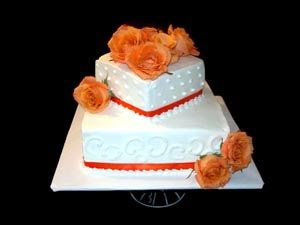 Square white and orange themed wedding cake. 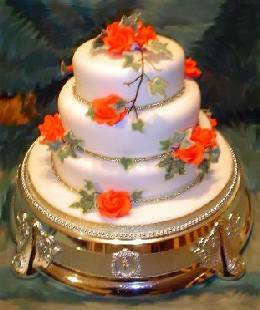 Two tier white wedding cake with lovely decorative pattern and orange roses. Three round tiers swirl textured cake with an abundance of orange roses. Beautiful white three tier wedding cake with an array of small roses in varying shades of orange.